Such an elegant design, love the added gold, adds a beautiful touch!!! 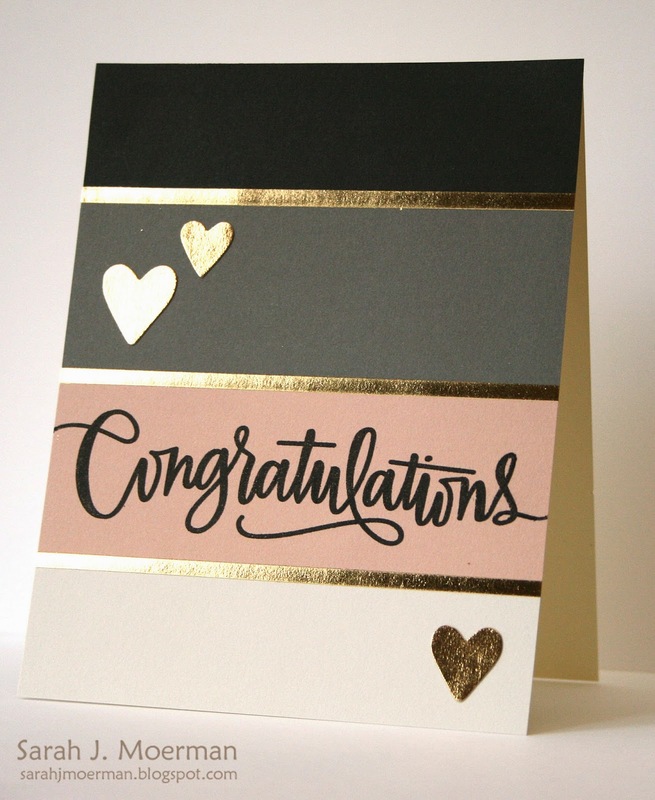 great blocks of colour on this trendy card. Love the papers in this kit and that sentiment is so pretty! beautiful card the foil adds that touch of elegance, I love the stamp set! What a gorgeous card - one of my faves that illustrate the new kit. That sentiment fits perfectly on here! Your card is very classy and elegant! Perfect for this type of card. Thanks for the chance to win! Gorgeous! Such a beautiful, classy card, Sarah! Beautiful!! Love the pattern papers in this kit!! So very pretty! I can't get over how elegant the colors in this kit are along with the gold. Beautiful card today, Sarah! I love the pop of gold in the paper and the hearts. 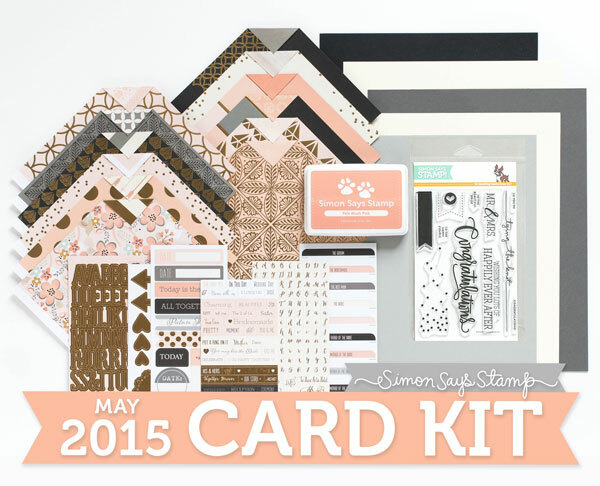 Your card is gorgeous, love the papers in this card kit. Thanks for sharing. Stunning! Just love the papers from this kit, bet its very popular indeed! So simple to make, but oh so elegant. Very lovely. Simple totally rocks. Such a pretty card!! This pack of patterned paper is really beautiful!! The perfect wedding card! I love this kit - everything in it is so soft and romantic. so bold but soft at the same time! Love the coloured stripes, so elegant and striking with those colours. Beautiful card and thanks so much for the chance to win!! What a wonderful card! I love your simple design yet elegant. The color combo + gold are perfect. Fabulous and elegant colour combo! Clean and simple yet sophisticated. So versatile! love this card, really like the gold. Fabulous card! Love the colors with the gold accents & the sentiment font is awesome. the touch of gold looks so elegant! I love that this is so easy, yet looks so elegant. I love the design of this card kit! Such a beautiful card! Very elegant, this kit looks amazing!